Wookie Kim is a Harvard Law School graduate, 2012 Equal Justice America Fellow, and a staff attorney at ACLU Hawai‘i. Wookie was initially motivated to attend law school after teaching in DC public schools as a Teach For America corps member where he witnessed the systemic inequalities that are “baked into society,” and he developed a passion for changing things for the better. During his EJA fellowship with Connecticut Legal Services, he again witnessed the challenges created by systemic barriers in education and housing. These experiences solidified his determination to better the lives of others through advocacy. After graduating from Harvard Law, he worked for a DC law firm focusing almost exclusively in business litigation. Though grateful for the experience there, he appreciates the variation of his current work with ACLU Hawai‘i which involves advocacy, public outreach, lobbying, and litigation. Wookie explained how ACLU Hawai‘i has tried its best to oppose two new “anti-homeless” bills with little avail, and pointed to the lack of affordable housing and some of the highest housing costs in the country as further exacerbating the situation for many people who are unsheltered. In his free time, Wookie often travels to homeless encampments to speak with people about their hardships, personal stories, and what’s preventing them from getting off the streets. As of 2017, Hawai‘i has the highest rate of homelessness. A New York Times article, titled “Aloha and Welcome to Paradise: Unless you’re homeless,” describes the problem as one that many states and municipalities are experiencing. The laws Honolulu adopted to address the issue resulted in hard-line crackdowns, criminalization, seizing what little property there is, and social workers pushing shelters, which are often an even more distressing option. This approach results in a nicer façade, while failing to address the evidence-based factors causing the problem in the first place. For the ACLU, Wookie says, tackling an issue from every angle means understanding political realities and trying to change policies while considering litigation a last resort, especially with limited resources. The preferred approach is to engage stakeholders or entities involved to only escalate as necessary. He says that things are actually looking up for smaller ACLU affiliates in “fly over states” which are now able to meet the needs of their own jurisdictions. Part of the uptick in support stems from events and policies within the current administration, prompting massive increases in donations and a concerted effort to expand capacity. Wookie’s most current focus has been Chelius v. Azar, a significant abortion access case in Hawai‘i. For this project the ACLU of Hawai‘i partnered with several attorneys from the national Reproductive Freedom Project who are versed in the national landscape of abortion access. The case centers on Dr. Graham Chelius, a family medicine doctor in Kauai, which is located 100 miles east over sea from the nearest abortion clinic in Oahu. Dr. Chelius wants to alleviate the burdensome lack of accessible services on the island by loosening drug stocking restrictions in the state. In Planned Parenthood v. Casey in 1992, the Court held that states cannot enact laws that put an “undue burden” on women seeking an abortion. To date, Dr. Chelius has been impeded by the FDA, with seemingly unsubstantiated regulations on Mifepristone (the drug that combined with Misoprostol induces miscarriage) so that it can only be dispensed from a clinic, medical office, or hospital. Because his colleagues are opposed to abortion he is not able to stock the medication or begin the polarizing process of registering with the drug’s manufacturer in advance to stock the medication, as required. For perspective, Plan B is now available at retail pharmacies as an over-the-counter medication and Viagra, Cialis, and Levitra have all been prescription drugs readily stocked and available at any pharmacy with the same ease of access as filling a prescription for penicillin. The disproportionate restrictions placed on Mifepristone are contradictory, as the drug has been proven generally safe and effective. This is especially glaring when compared to other medications in the same restricted class, such as Isotretinoin and Clozapine, which have far more adverse effects and rates of frequency. With the ACLU’s help, Dr. Chelius and other plaintiffs are suing the FDA with the goal of lifting Mifepristone restrictions so that the drug is available through pharmacies, the effects of which would revolutionize abortion access nationwide. Wookie let us know that the lawsuit has so far survived the FDA’s motion to dismiss and is moving forward. The ACLU Hawai‘i agenda is also focused on policing and the problem of mass incarceration in the state, though this remains a major issue for the entire country. Hawai‘i is among the worst offenders in the US of prison overcrowding and Wookie tells us that almost every facility is holding close to 200 percent of design capacity and are in terrible condition. Wookie and his team’s approach has included advocating for better policies and reducing the number being held pretrial by reforming the bail system. However, the state legislature’s solution is to build another jailing facility by replacing the existing Oahu Community Correctional Center with a new facility that will be built where the Halawa Animal Quarantine Station currently exists. The project has been estimated at just over half-a-billion dollars to complete and is neither geared toward recidivism-reducing policy or expediting the release of detainees who are awaiting trial or have short sentences. Although the present focus is on the pretrial aspect of the system (the initial stages when a person hasn’t yet been convicted of a crime), ACLU of Hawai‘i has also recently filed a complaint with the United States Department of Justice to address, investigate, and intervene in conditions and overcrowding that allegedly violate the Eighth and Fourteenth Amendments to the U.S. Constitution. The ACLU suggests evidence-based reform policies are the best way to address these issues, rather than building another facility which very well could run into the same problems without real systemic change. It is not uncommon for the ACLU to be boxed into a partisan space, but the ACLU is a non-partisan organization that represents people and organizations across the entire political spectrum. Wookie gave us an example of this in New York. ACLU National filed an amicus brief in support of the NRA’s right to have its day in court in a lawsuit the NRA filed against New York Governor Andrew Cuomo. The NRA alleged that Cuomo and his administration abused their authority over New York financial institutions by threatening those who would associate with the NRA in order to weaken the organization’s access to insurance and banks in New York. Though the ACLU hasn’t opposed reasonable restrictions on guns, they believe that trying to block a nonprofit advocacy group’s financial access while it promotes currently lawful activity is a violation of the First Amendment. It isn’t difficult to imagine the repercussions this type of action from administrations or politicians could have on other non-profits’ right to free speech. A career in public interest law, of course, can be stressful, so Wookie spends time outside of work running trail ultramarathons of up to 100 miles. He’s learned a lot through the sport, especially about values in long term thinking and sustaining energy (an upcoming race in January will take about 30 to 34 hours nonstop) and this mindset applies perfectly in his profession. His time management between this lifestyle and workload is key, where even in the busiest weeks, reallocating 10 to 20 hours while cutting out things like unnecessary time wasters gives him time to run, and the running is a great way to deal with stress whether legal or personal. He describes his time on the trails as time alone where the mind can wander and zone out, listen to podcasts, or catch up on what’s happening in the world. The ACLU allows more of a 9-5 schedule and for better work-life balance than at his previous firm. He has even found the time to learn how to surf on side. When asked what advice Wookie would pass on to lawyers early in their career he recommended, “Keep an open mind. A lot of people have clear and specific visions for what they see themselves doing and don’t see what they’re missing out on–great opportunities that don’t fall into their vision but are just as rewarding and meaningful and awesome. 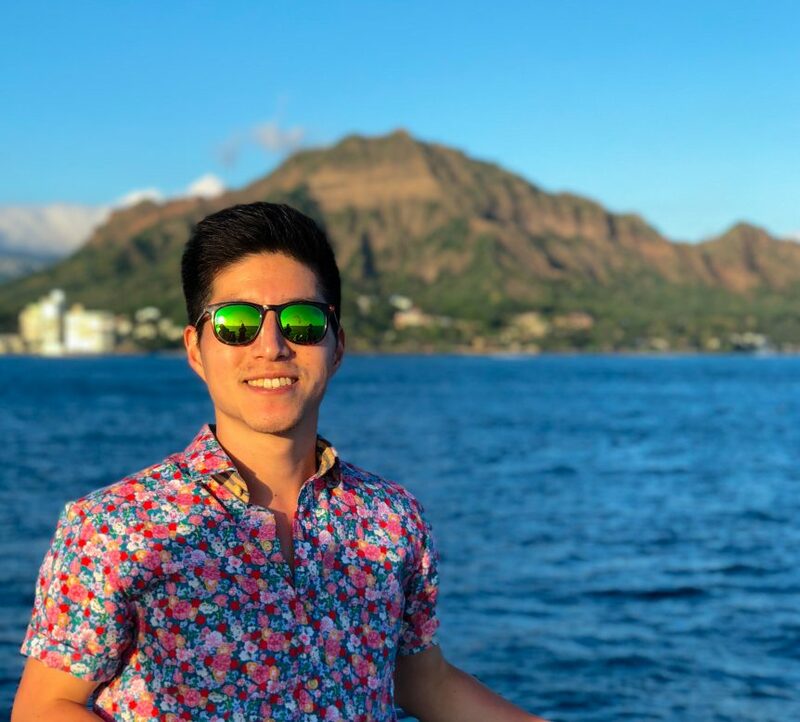 When you keep an open mind you can seize an opportunity others don’t notice.” Wookie shared, “Deciding to move to Hawai‘i to join the ACLU was the single most impactful decision in my life,” and required he leave two decades of Northeast living, friends, and family behind, to move to an unfamiliar place. In terms of career impact, he encourages others to think about the bigger differences they can make in places needing help they may not have considered. He believes his experiences teach us that it is possible to build a more holistic life in the law.